Just days before Hu Jintao’s visit to India, a 27-year old Tibetan sets himself on fire to protest against the Chinese President’s upcoming visit. A Tibetan protester set himself alight in New Delhi on Monday [26 March 2012] ahead of Chinese President Hu Jintao's visit to India this week, police said. New Delhi police spokesman Rajan Bhagat said the 27-year-old man was part of a Tibetan protest over Hu's upcoming visit to the Indian capital for a summit Thursday [29 March 2012]. The man was hospitalized with burns on 90% of his body, Bhagat said. 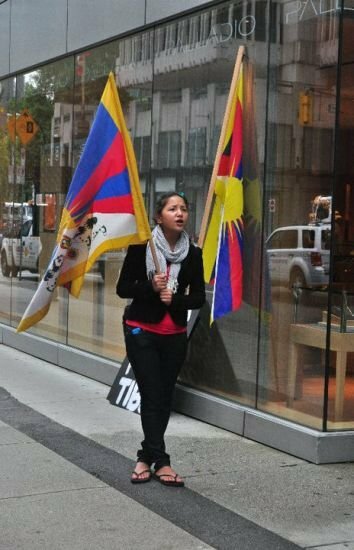 Self-immolation is a common form of protests for Tibetans who want genuine autonomy from China and accuse Beijing of repression.